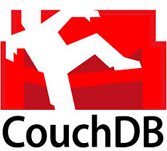 This tutorial facilitates a concise knowledge related to CouchDB, the procedures to set it up, and the ways to communicate with CouchDB server with cURL and Futon. It also says us how to create, update and delete databases and documents. This tutorial assists the professionals aspiring to make a career in Big Data and NoSQL databases, particularly the documents store. In prior you begin proceeding with this tutorial, we are assuming that you have a concise knowledge on Big Data, Hadoop, and also have the basic knowledge of databases.